While most posing tip tutorials usually focus on the female form, there isn’t that much information available about how to properly pose men for portrait photography. 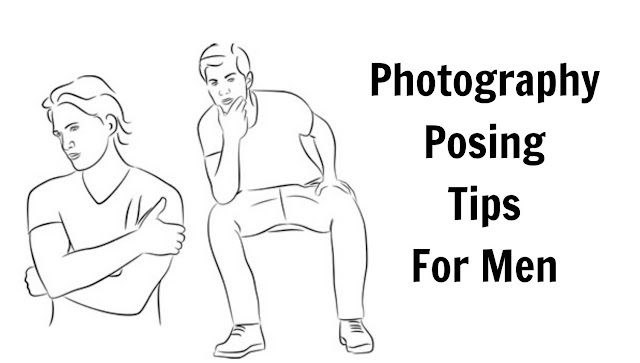 Here is a list of 10 great portrait poses for men. This is a very simple pose for a man’s portrait. Tilt the head very slightly and fold the arms across the chest. One hand sticks out while the other is tucked away under the arm. Two things to take care of: Shoulders should be pulled back a little, stomach muscles kept in check. Crossed arms pose also work well in full height shots. You can also cross one leg in front of the other. But make sure the body weight is not supported equal on both legs, otherwise that would look just awkward. This is a popular pose for the guys since they tend to stand in this position normally. Simply Keep your hands fully or partly in the front pockets of jeans to achieve natural and relaxed pose. Try this pose with your body positioned differently by turning slightly away from the camera or leaning against a wall. Leaning against a wall is another popular pose because there isn’t a whole lot to it. Start by leaning against a wall and moving your feet away from the wall. You can also put one leg on ground, one leg on wall. The sideways way of leaning against the wall also works very well for casual shots. This pose makes for a great photo whether it’s shot up close or from further away. To accomplish this pose put one of your arms against the wall around where your head is. Lean into the wall slightly so only some of your weight is against your arm. You want to look natural. Take a nice jacket or some piece of clothing and put it over the shoulder for a great look. Keep your thumb hooked in pocket, with the rest of fingers exposed and legs crossed. This is an extremely easy pose and works best with the guys. Sit on the ground against a brick wall in a comfortable position. Keep one leg laying straight on the ground, while the other leg is bent at the knee so your arm can rest casually across it. Other arm is resting on the leg on the ground. You can try different shooting directions and angles for this pose. This a great pose for a variety of backgrounds. Start by squatting down and then drop and relax your arms over your legs. This is a easy and natural pose while sitting on the ground. It is suitable for outdoor locations. Try different shooting directions and angles. Sit on stairs, lean forward a bit more and ensure that your thighs aren’t actually on the seat. Raise your chin up a bit, rest the elbow in the middle of the thighs and have the hands do something.